I can now confirm that we are officially a Charter Standard club. by Jon and Steve and an investment of time and effort by many managers and other committee members. to the aforementioned double act and those managers who have attended courses in recent times. with the right procedures in place, and the well-being of children at the heart of everything we do. The Winter training schedule has been updated to include the start and finish dates. Click here for the Winter Training Schedule. Welcome to another season - and a new era for the club. The fixtures for the 08/09 have been published. Click on the relevant team on the side menu to see this seasons fixtures. CCCFC are pleased to have new sponsors for season 08/09. for the Under 9, Under 13 and Under 15 teams. Green Ginger for sponsoring the U9 team. 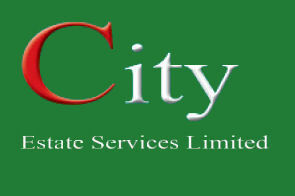 City Estate Services Ltd for sponsoring the u13 team. Platinum Vauxhall (Chippenham) for sponsoring the U15 team. At the presentation evenings players were rewarded for their efforts during the 2007/2008 season.